The trailer and first song of Golmaal Again has received incredible excitement and overwhelming love from the audience and media. Audiences certainly can’t wait to see what they come up with next. What they have done is very unique and pretty cool! For the second song, during the shoot of a scene in the upcoming song ‘Maine tujhko dekha’, which will be out tomorrow, they used Salman Khan’s Being Human cycles. 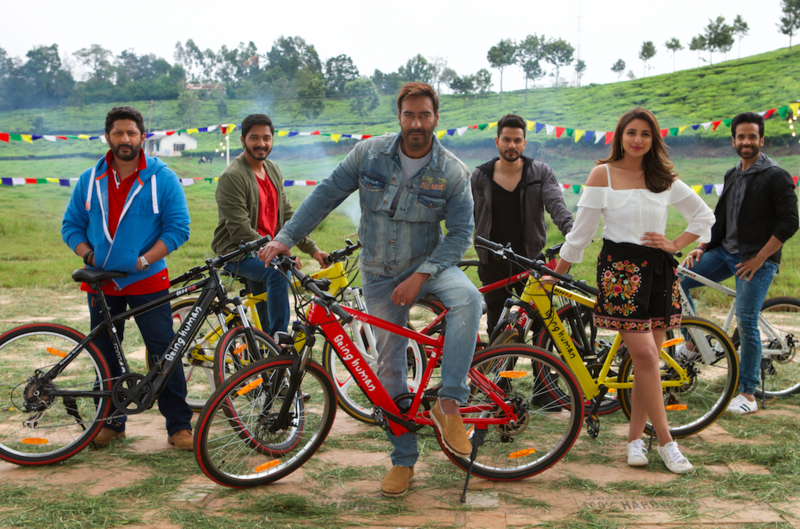 Golmaal Again is yet another fun-filled ride about two rival gangs who are unable to stand each other since their childhood and how they repulse each other even after they grow up. It is yet another hilarious adventure with its fair share of thrills that are sure to surprise the audience and fill their hearts with laughter and joy. It is a film that will surely make everyone laugh, cry and realize the importance of how beautiful life is. Reliance Entertainment Presents, In Association with Mangl Murti Films and Rohit Shetty Picturez, Produced and Directed by Rohit Shetty, Golmaal Again is set to release on 20th October 2017.